We support mobility and independence by maintaining and providing lightweight manual wheelchairs to survivors in need. Our experienced group of trained mentors visit, speak, and teach classes at Northern California Rehabilitation Centers and within our community. The always popular Roll On/Bowl On event is a family-inclusive bowling night at different locations throughout Northern California. We host monthly support network meetings in Vallejo, Berkeley and San Francisco. All meetings are from 6-8:30 p.m. with food/drinks provided. Alcohol and substance-free. Berkeley meeting is at the Ed Robert’s Campus on the 2nd Thursday of every month. San Francisco meeting is currently looking for a space on the 4th Thursday of every month. Troy Plunkett was a full-time working 17 year-old high school senior from Vallejo, California and loved racing motocross. On Easter Sunday morning in 2003, training for an upcoming race he had a mechanical failure with his engine off the face of a jump causing a terrifying crash. The result of the crash was a severely broken rib and fractured T9-10 vertebrae rupturing his spinal cord leading to instant paralysis from the belly button below. Awake and in pain through a medvac flight to a trauma center, an ambulance transport to another hospital and then an overnight 6-hour surgery fusing T8-L1 vertebrae with 2 titanium rods and 11 screws. After surgery and learning what the outcome was, he was ready to attack therapy sessions to become independent as soon as possible. With only 1 other newly injured paraplegic once at Rehabilitation, there was no choice but to listen and learn from the nurses, therapists and doctors. Never afraid to try and push himself to new levels, he consistently fought to make today better than yesterday building strength and confidence each day. But, frustration built in the fact that there were limits out of his control, needing to wear a constricting and uncomfortable torso brace (TLSO) from the armpits to his waist anytime out of bed to stabilize and protect the back fusion. Just 5 weeks from the day of the life-changing accident, discharge from the Rehab center had him going home with a heavy-duty rental wheelchair and still very limited with the brace for the next 2 months. Without hesitation that first weekend out of Rehab, he was in a special fitted tuxedo covering the back brace to be in his cousin's wedding, then 2 weeks later was high school graduation. 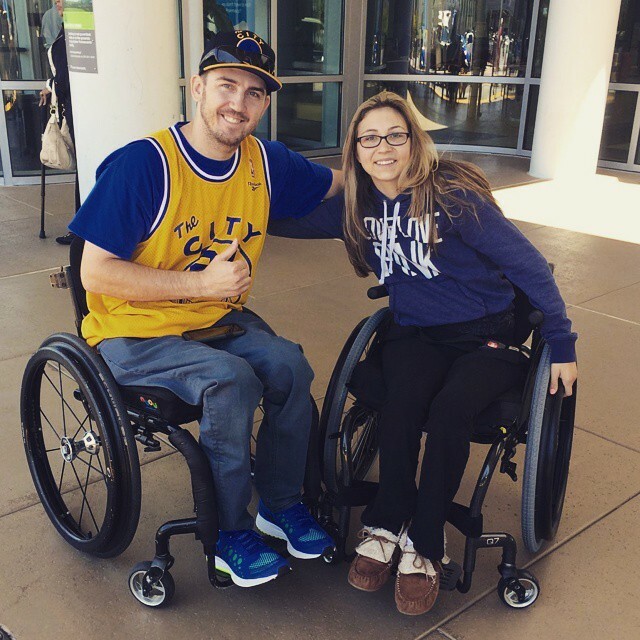 Continuing to do as much strength training as allowed while learning how important a positive mindset and support is in overcoming the daily challenges living with a spinal cord injury and paralysis. Over the next 6 months after the brace came off, he attended outpatient therapy working on balance, strength and independence,. Also, received his lightweight wheelchair to enable more mobility and confidence, purchased a pick-up truck and had hand controls installed and started classes at the Community College. Not sure what the future held, his drive to being active and pursuing education was a no-brainer. Soon after, he began the evaluation process to return to work as a customer service clerk in retail where he became a full-time employee over the next year then was promoted to a Personnel Coordinator for the next 6 years. Had the chance to attain his state insurance licenses and become an Insurance agent. Due to a few skin issues from a popped cushion, he battled the healing process and the need to be active and living life which led to 2 surgeries and over 6 months of total bed rest. After recovering from the 2nd skin flap surgery, he began mentoring often at his Rehab and in the community to use his knowledge and experiences to help other SCI survivors and families. The positive empowerment resulting from his time and effort in uplifting peer SCI survivors, families and community revealed there was a definite need to follow these affirmations. 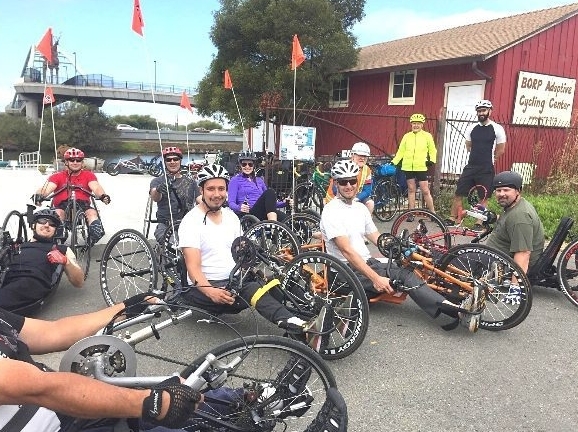 In 2015, the thought of starting something to connect, support and encourage SCI survivors to be active in living life became reality with the start of Spinal Cord Injury Active Network being granted 501(c)(3) status by the IRS. Since, we continually have our trained peer mentors visit, speak and teach classes at Northern California Rehabilitation Centers and community events, host over a dozen family-inclusive activities a year plus a monthly support network meeting in Solano County and we accept donated lightweight wheelchairs to maintain and provide to survivors in need with better mobility, independence and quality of life.